This chick appeared to have left (or fallen) from its nest too early. It was incapable of flight and sat vulnerably in the open with a sad-faced, disdainful expression as its parent attempted unsuccessfully to coax it to fly up into the trees. 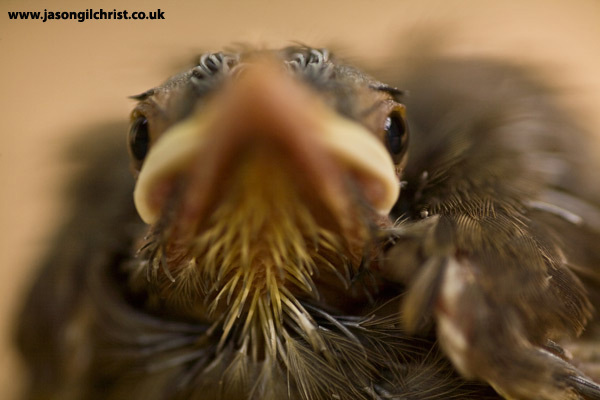 Madagascar bulbul (Hypsipetes madagascariensis) chick.